These terms and conditions ("Terms") apply to all and any use of the web site available at predictorpro.com and its content ("the Web Site") including without limitation the software, services and games available from the Web Site ("Games") and any material submitted, posted or otherwise placed on the Web Site, together with all and any material, comments, messages and other communications made to, from or using the Web Site or any part of it ("Communications"). By using the Web Site you are telling us that you understand, accept and are able to accept these Terms and agree to be bound by these Terms. If you do not accept or understand these Terms you should not use the Web Site or any part of it including without limitation by using, posting or accessing the Games or Communications. If you are under the age of 18 and don't understand these Terms please ask a parent or guardian to explain their meaning to you. PredictorPro grants you a non-exclusive, limited licence to download and use the Web Site solely for your private, non-commercial, personal use only via the Internet. You may not transfer, sub-license or deal in this right without PredictorPro's prior written permission. These Terms and the rights granted by them do not give you any title or ownership in the Web Site or any Game and should not be construed as a sale or transfer of any copyright or other right. Unless otherwise expressly specified, all copyright, design rights, database rights, patent rights, trade mark and trade dress rights and other intellectual property rights in the Web Site belong to and vest in PredictorPro, or are licensed to PredictorPro. All intellectual property rights of PredictorPro are hereby asserted and reserved. All third party trade names and trade marks are the property of their respective owners and PredictorPro makes no warranty or representation in relation thereto. 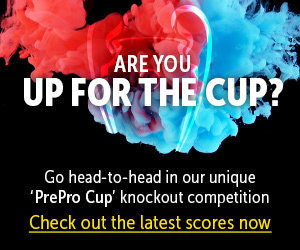 More specifically, PredictorPro does not claim or assert any right title or interest in any third party Communications or any information or data contained on the Web Site or any Game that refers real world events, people, organisations, teams, clubs, companies, competitions ("Real World Data"). All Real World Data and all rights in Real World Data are the property of their respective owners and PredictorPro does not have and does not represent any connection or association with any Real World Data or any subject of any Real World Data. Real World Data is included in the Web Site and Games for the purpose of providing information only. use or deal in the Web Site or any Game except as permitted by these Terms. use your access to the Web Site, or information gathered from it, for the sending of unsolicited bulk email. delete or obscure any copyright or other proprietary notice. Third party web sites and online services to which the Web Site links ("External Sites") have not been verified or reviewed by PredictorPro. Any username and password issued to you is personal to you, so that you can use and access the Web Site and must not be disclosed to any third party without PredictorPro's prior written consent. All Communications sent by PredictorPro and attachments thereto are intended only for the addressee and/or others authorised to receive them. The Web Site is an entertainment and information service and ancillary to this PredictorPro is involved in the transmission, storage, retrieval and dealing with third party Communications without review, selection or alteration of their content - for which it is a mere conduit. The views expressed in any Communications are the views of the individual authors and not those of PredictorPro unless specified otherwise by PredictorPro. PredictorPro is not responsible for and disclaims all liability in respect of any comments, views or remarks expressed in any Communications. By using the Web Site you acknowledge that PredictorPro has no responsibility to review the content of any Communications and that all Communications are made available on the basis that PredictorPro is required to and does not exercise any control or judgement of their content. It is a known risk of internet usage that people are not necessarily who they say they are. People may provide information or behave in a way that is unreliable, misleading, unlawful or illegal. PredictorPro has no way of telling if statements made by other users are true. This is a decision that can only be made by you. You should therefore exercise of some degree of caution when using any web site. By using the Web Site and its services you accept that this is the case and accept that you therefore use the Web Site at your own risk. PLEASE TAKE PARTICULAR CARE IN RELATION TO THE DISCLOSURE OF YOUROWN PERSONAL INFORMATION SUCH AS YOUR SURNAME, ADDRESS, EMAIL ADDRESS, TELEPHONE NUMBER AND PLACES YOU GO. PredictorPro provides and maintains the Web Site for personal entertainment, on an "as is" basis and is liable only to provide its services with reasonable skill and care. PredictorPro does not warrant that the operation of the Web Site will be uninterrupted or error free. PredictorPro will not be liable in any amount for failure to perform any obligation under this agreement if such failure is caused by the occurrence of any unforeseen contingency beyond the reasonable control of such party including without limitation Internet outages, communications outages, fire, flood, war or act of God. These Terms above are subject to your statutory and common law consumer rights and shall not limit any rights you might have as a consumer that may not be excluded under applicable law nor shall it exclude or limit PredictorPro's liability for death or personal injury resulting from its negligence nor any fraudulent representation. You agree that in relation to your use of the Web Site you will not in any way conduct yourself in a manner which is unlawful or which gives rise to civil or criminal liability or which might call into disrepute the Web Site. You agree to indemnify and hold harmless PredictorPro against all liability it may have in respect of and arising out of your Communications and use of the Web Site and your breach of these Terms. Without limiting to any other rights it may have PredictorPro may remove, restrict, cancel or suspend access to and use of the Web Site and any part of it, if it considers (in its sole discretion) that you have breached of any of these Terms. PredictorPro will only use information collected about you in accordance with the Data Protection Act 1998. PredictorPro may ask you for certain information and you may submit personal data to the Web Site (such as your name, email address and contact details) when you subscribe or sign up to the Web Site. From time to time PredictorPro also monitor and record telephone calls for training purposes and to improve the service to you. PredictorPro will never collect sensitive information about you without your explicit consent. In accordance with the Data Protection Act 1998, PredictorPro is registered with the Information Commissioner. If you believe we have information about you that you do not want us to have or that is incorrect or please contact us as described below and we shall correct or remove the data as you request as soon a reasonably practicable. PredictorPro gives you a choice whether or not you want us or other reputable companies to contact you about future offers, events and new services or related activities that you may find useful. We won't sell or trade personal information to other companies but we would like to keep you informed of the developments on the Web Site and certain Games and we would like to share data with other reputable companies who may have interesting offers and information for you (inside or outside the EU). We will not send you any marketing emails or pass your information on to third parties unless you give your consent or you have given it already. If you don't disable "cookies" the Web Site will ask for and store details including name and email address and may automatically insert certain information on the subscription or Communications forms so that you can use the Web Site with less form filling. These Terms constitute the entire agreement between you and PredictorPro and shall apply to the exclusion of all other Terms or conditions of contract which you may propose. Failure to enforce any of these Terms will not be deemed a waiver of any term or right. If any part of these Terms is found to be unenforceable, it will be construed as far as possible to reflect the parties' intentions and the remainder of the provisions will remain in full force and effect. The Web Site and all Games are intended for and directed at the United Kingdom and no representation or warranty is made as to whether the Web Site complies with the regulatory regime and local laws of any other countries. Use of PredictorPro and these Terms are subject to the laws of England which shall exclusively govern the interpretation, application and effect of all the above permissions, exclusions, licences and conditions of use and shall be construed in accordance with the laws of England and the parties submit to the exclusive jurisdiction of the English courts.